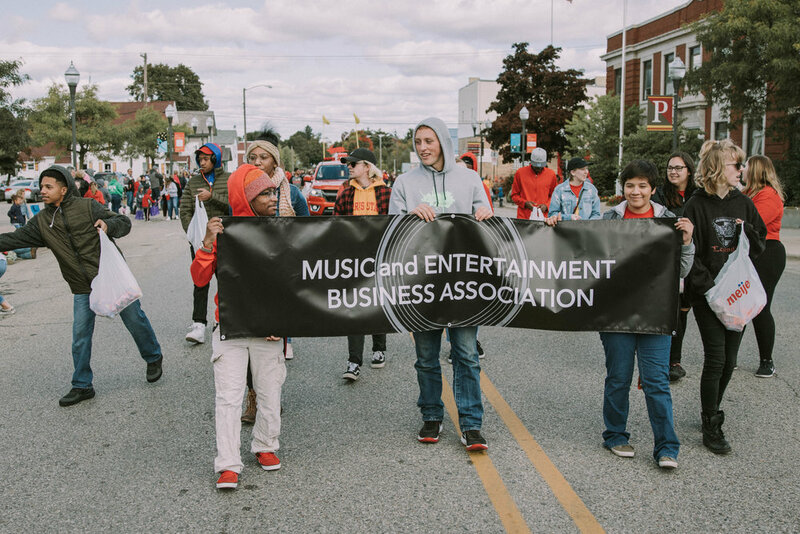 Saturday began with a few Music and Entertainment Business Association members participating in the annual Homecoming Parade to showcase our great program and association. The parade featured many different Ferris State organizations and sports teams who came together to show their pride for the university and their groups to the people of Big Rapids. 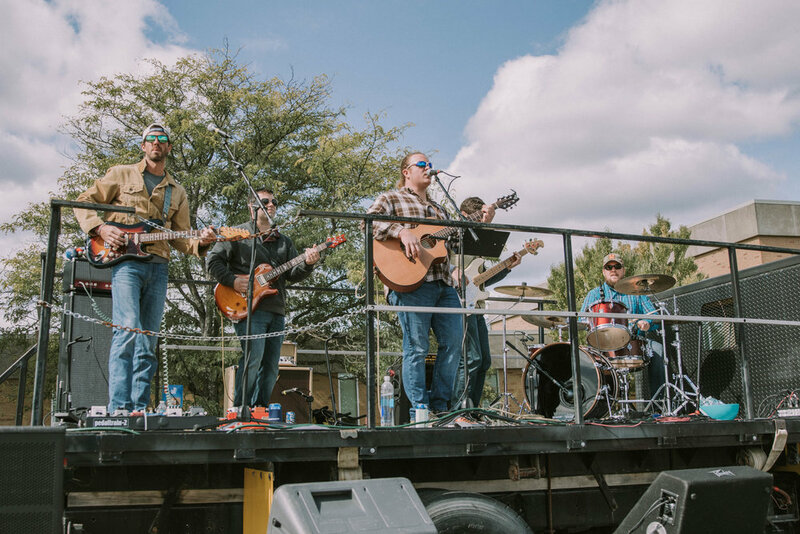 Following the parade, Americana band Paradise Outlaw performed to a rambunctious tailgate crowd outside the College of Business. The Bulldogs went on to win the big game against and the Ferris State community was there in full support. We would like to thank all of those who attended, especially Paradise Outlaw for putting on a great show! Vibrato Vibes performing a haunting rendition of Fix You by Coldplay; MEBA member and performer Ryleigh Spetoskey featured third from right. Continuing a Music and Entertainment Business Association tradition, we held our first “Thursdays at the Office” of the 2018-19 year. These shows are produced by the students involved in MEBA featuring the musical talents of many Ferris students far and wide. They are held in the MEB office located within the College of Business on Thursdays at 6 pm. This year’s collection of “Thursdays at the Office” is produced, organized, and managed by senior Jared Paton and junior Andrew Morris. The two members are working together to make sure the shows run well technically and sonically. 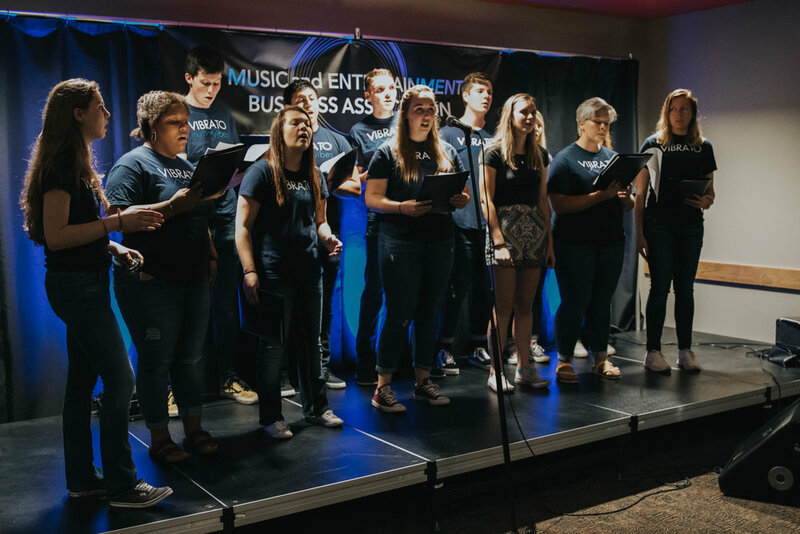 This week’s T@TO featured the vocal talents of sophomore Ryleigh Spetoskey and the on-campus acapella group, Vibrato Vibes. Many students from the major, as well as outside of it, came out to listen to some great music and socialize with others in the program.